I am still in the mood of holidays.. hope you all had a great Diwali and amazing weekend. After a long weekend I have so many new products to share with you all. Today I am starting with some of the NYX LIPSTICKS and HD PHOTOGENIC CONCELAR. 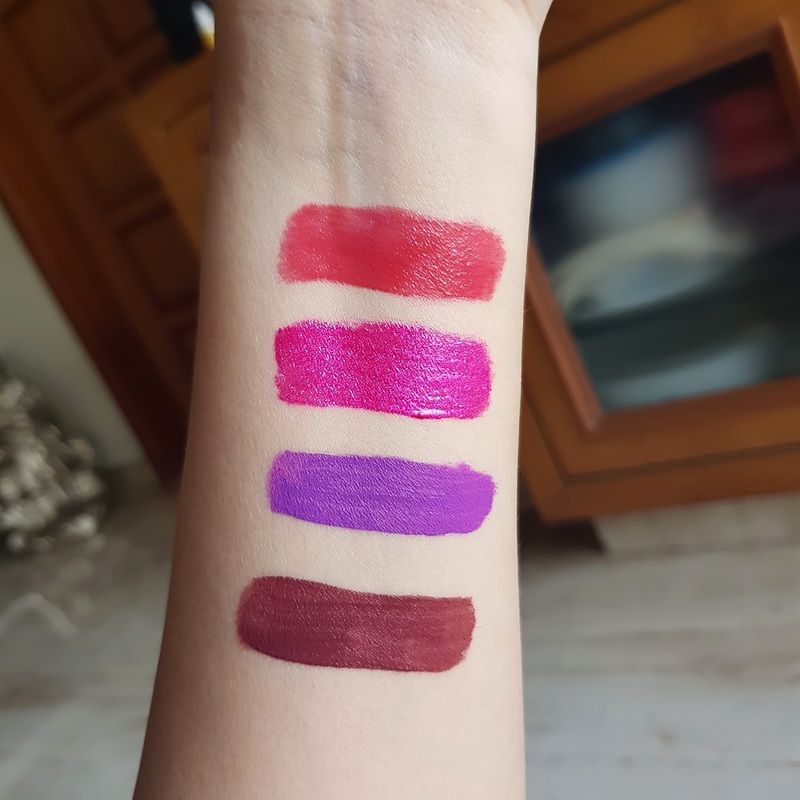 I haven’t tried some of these lipsticks and I am really excited for the shades I have picked up they are bold and colorful just like festivals. First is NYX COSMIC METALS in Fuchsia Fusion as metal lipsticks are all in trend I had to get one. 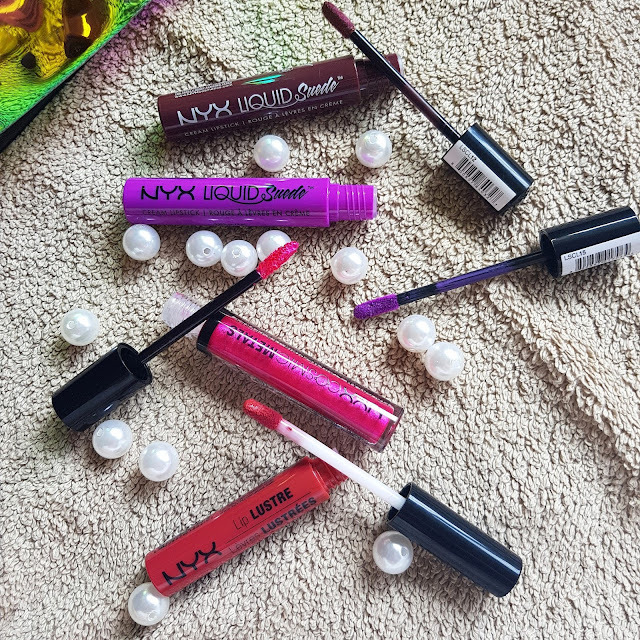 I don’t wear metal lipsticks but nyx cosmetics had some amazing shades which were irresistible. I wanted to play around with some of the bright shades. They are non sticky and non tacky. Stays on lips for 4-5 hrs. 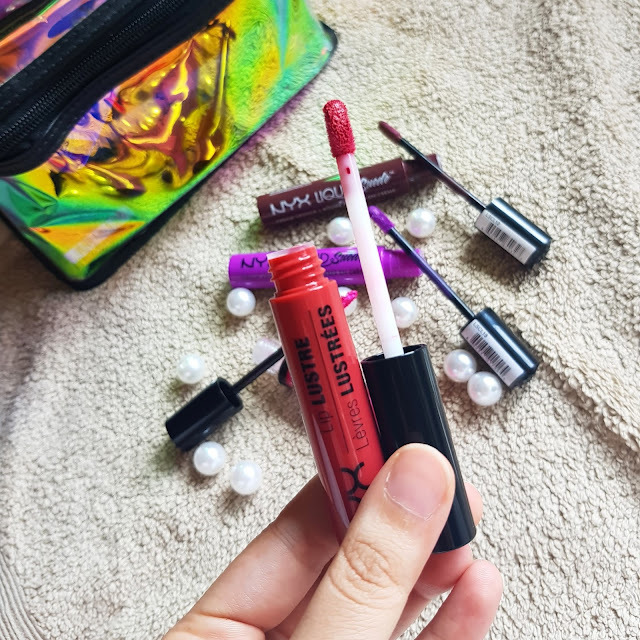 The texture is almost like a lip cream soft and smooth. It has silver pink glitter in it which gives you a complete metallic finish. They are easy to remove and doesn’t smudge around. The glitter particles doesn’t stay on to lips after removal. 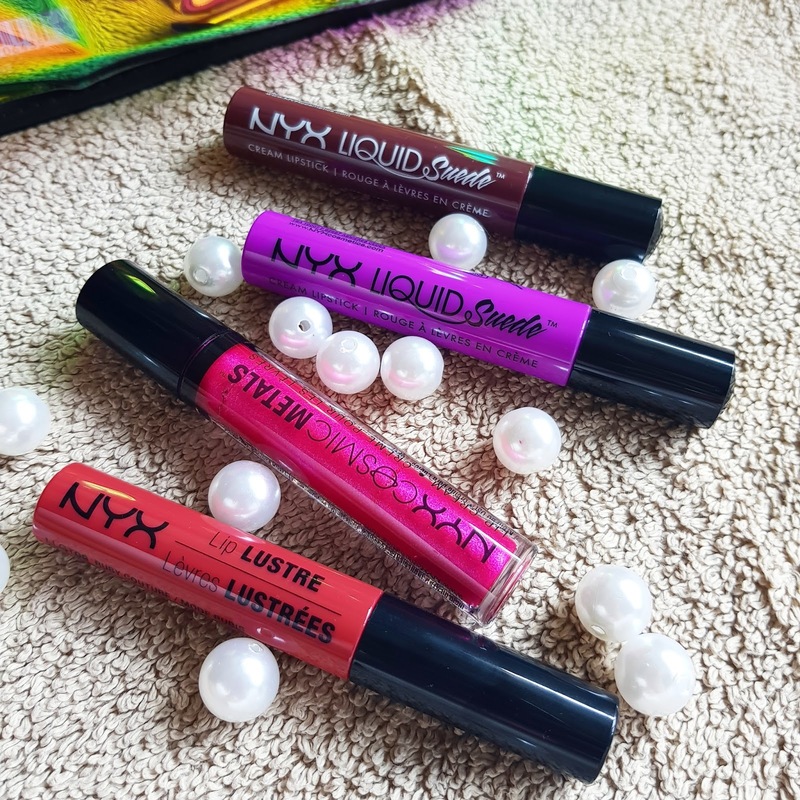 They are quite wearable and feel comfortable on lips. 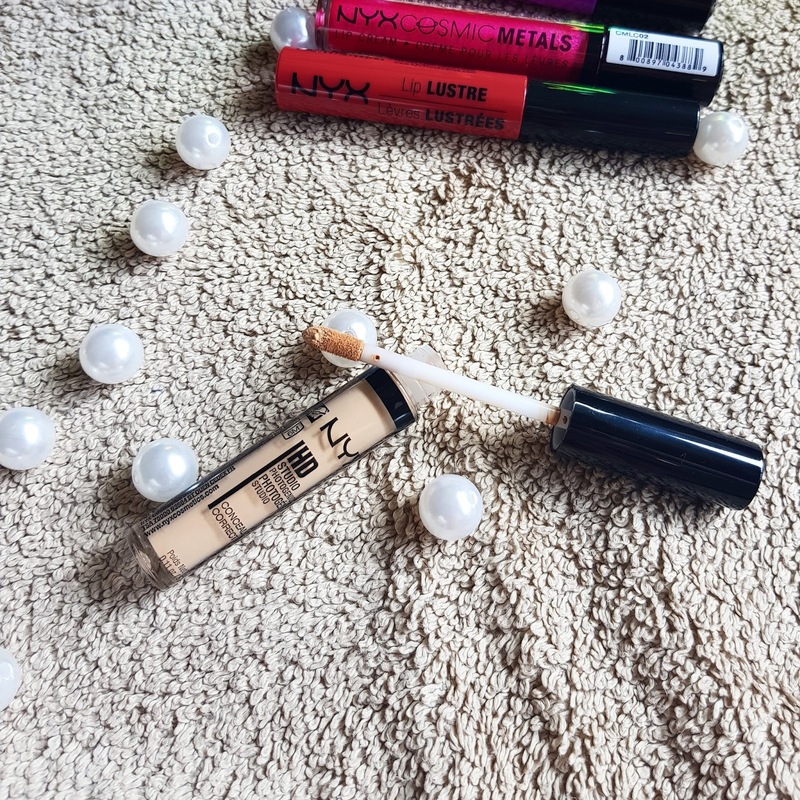 You can use this lipstick over any other shades too. It has medium coverage and good color pay off. The shade is bright fuschia pink which I totally loved it. 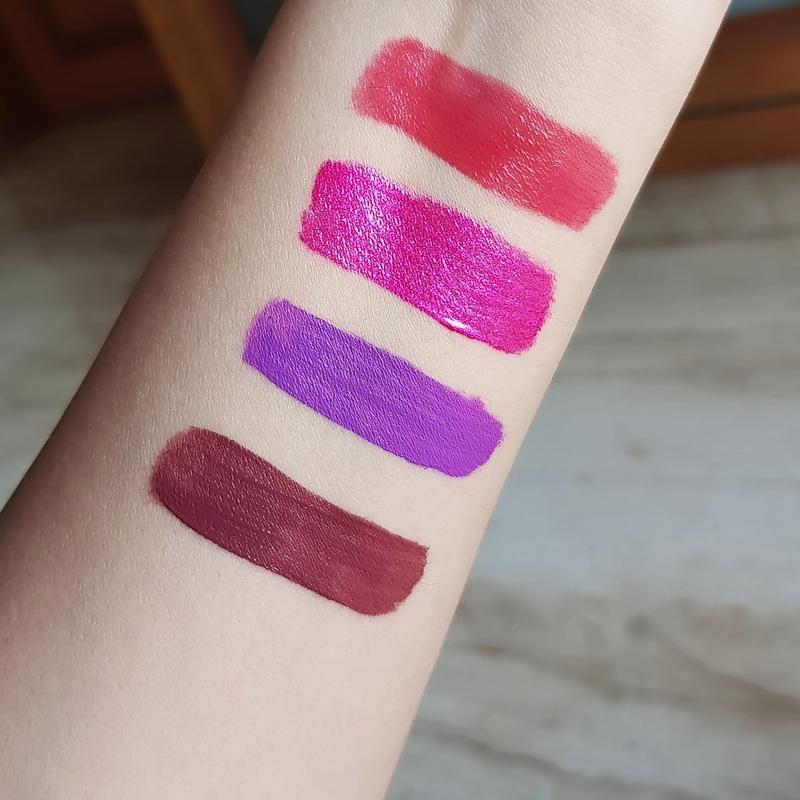 Next one is LIP LUSTURE in RUBY COUTURE. 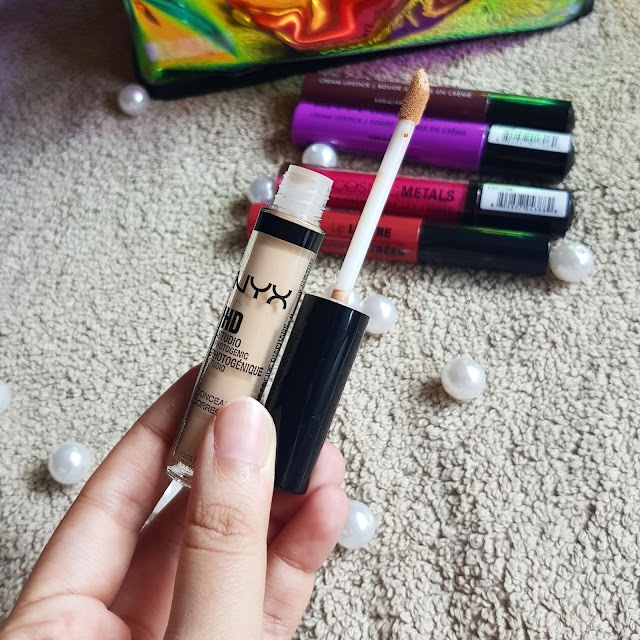 I am not only obsessed with the shade but also the texture and formula. 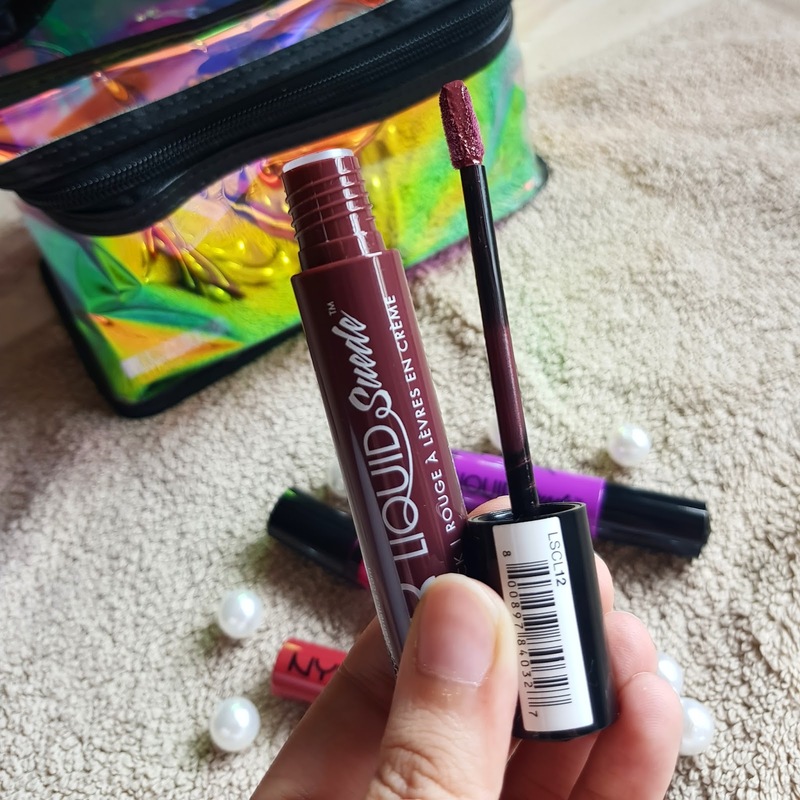 If you like a intense gloss and want something which stays well without having that sticky or tacky feel to lips this is a must have. 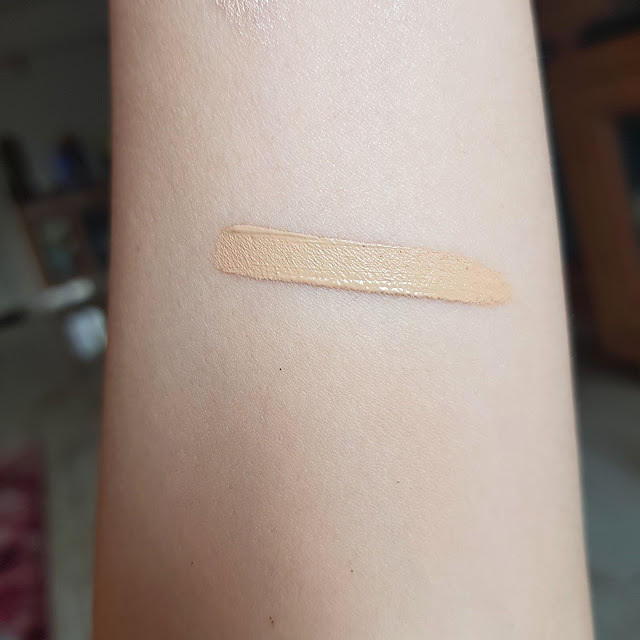 Its not sheer and gives good amount of opacity. Color pay off is excellent. It gives a glossy finish to lips. The texture is thin and gives even application. Ruby couture is beautiful warm red which is suitable for every skin tone. 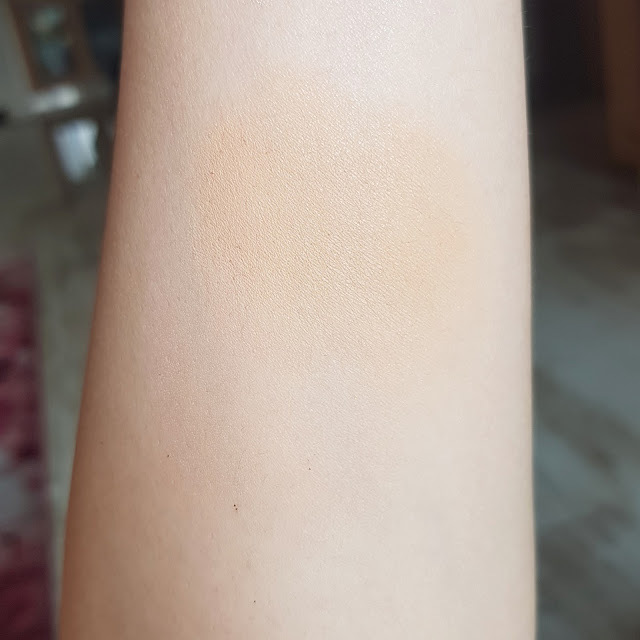 This shade is quite wearable on daily basis too. Another one is NYX LIQUID SUEDE I have already tried this range I got two new shades RUN THE WORLD & VINTAGE I love the application of this lipsticks they are creamy in texture and gives semi matte finish once sets in. There are almost 12 shades available in this range. RUN THE WORLD is a bright violet pink shade. If you love purple lipsticks you need to have this shade in your vanity. VINTAGE is beautiful warm toned dark maroon shade. 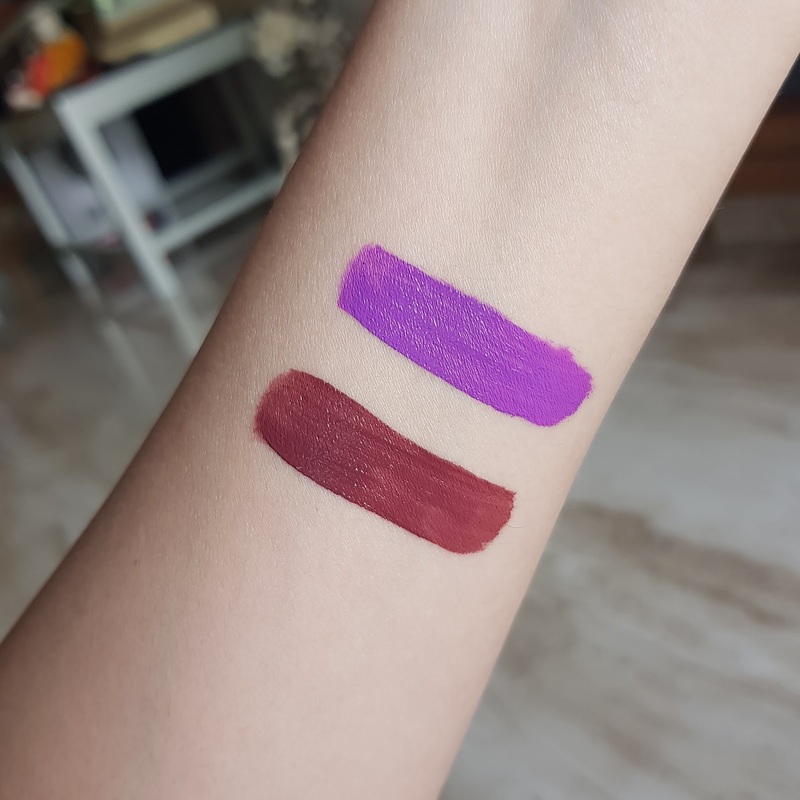 Not everyone will be comfortable wearing this shade but I really wanted to experiment with new kind of shades and this is what I got. The staying power is for 5-6 hrs doesn't transfer and starts wearing off after meals. NYX HD CONCELAR . It comes with a doe foot applicator which make the application easy. I usually apply it with a wand and dab it with beauty blender. It blends quickly into my skin. I set it with a matte finishing powder. Little product is required for medium coverage later you can add layers to build more opacity. This concelar doesn't fade or crease and gives 6-7 hrs of stay. 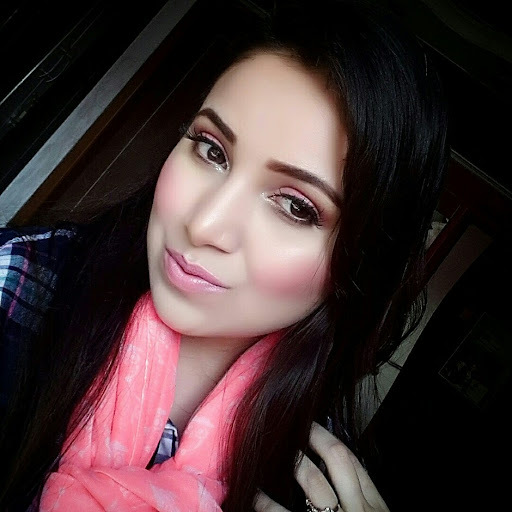 It can be also used for contouring and highlighting. Overall RECOMMENDED Its a perfect dupe to NARS CONCELAR also its available at such affordable price. I always love using drugstore concelars rather than the high end brands. 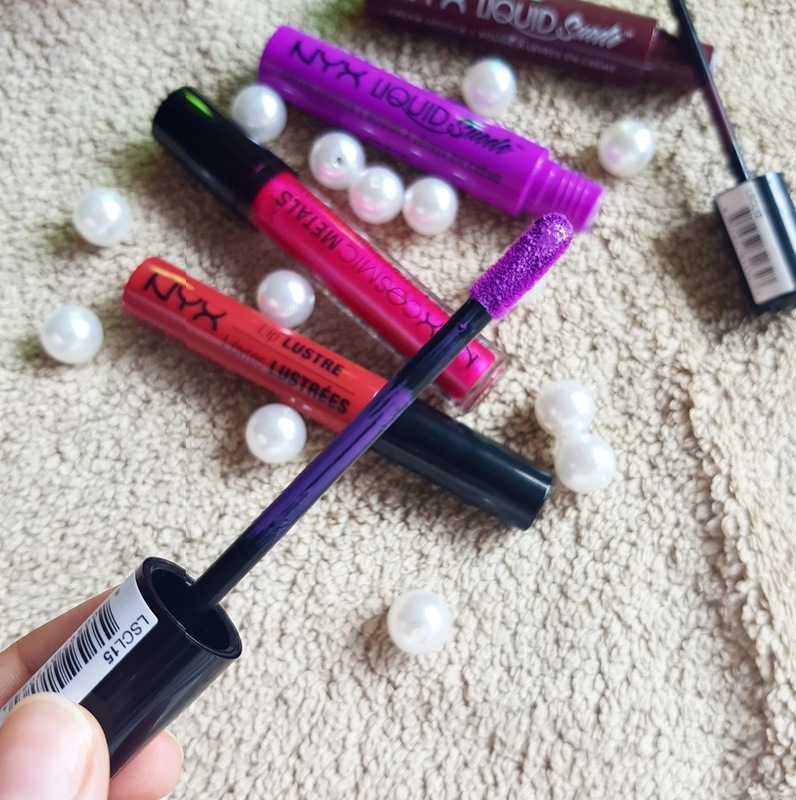 Have you tried NYX HD PHOTOGENIC CONCELAR let me know in comments below.